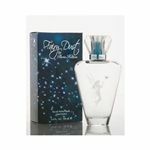 The enchanting new fragrance from Paris Hilton evokes the magical allure of a fairy tale with a sprinkle of Fairy Dust... every girl can believe her dreams will come true. i wanted to order several of the roll on oils but there are no ingredients along w/ the scents. How can I tell if I will like it? Just by the name? The floral sense is too strong and its not my type.. I was worried that this may be too good to be true! I will not doubt items from this site again! I was extremly happy with this order! I have suggested this site to everyone I know that wears Perfume or Cologne! !